Valentine's Day Surprises For All Of Your Sweeties. Stuff these Heart Loot Bags with Valentine's Day goodies and treats! Send your favorite sweethearts home with goody bags to show them how much you care. 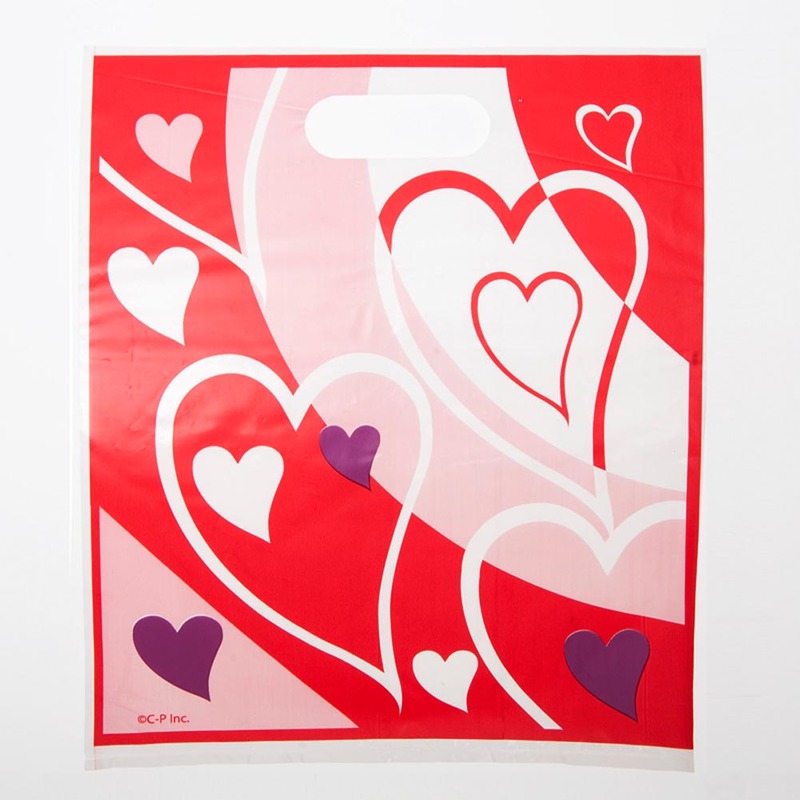 Use these heart loot bags during your classroom Valentine's Day party to hold candy, Valentine cards, and toys! 8 loot bags per package. 7 x 8 3/4. Goody bags are made of plastic. Sale items are non-returnable. Send your favorite sweethearts home with favors and treats to remember your Valentine's Day event. Stock up on the Valentine's Day and heart supplies you need to make your celebration of love a success!